Hurricane Katrina was one of the strongest storms to hit the United States coast within the last 100 years. It devastated New Orleans and caused many health concerns for the public. The water left from the storm left little clean water to use, buildings completely destroyed, and the public at a loss for words. Nothing can truly stop these types of storms, all one can do is know what to look out for and how to protect themselves as best as they can. Hurricanes are natural disasters that have unfortunately been on the rise as the years have gone on. With any natural disaster, comes concerns for human health. Hurricane Katrina brought with it flood waters, the loss of power, little livable space left, and a breeding ground for mosquitoes. This in turn caused molds to grow, endotoxin levels to rise, little clean drinking water, spoiled food, West Nile virus concerns, and many other causes for a person to be sick. New Orleans, Louisiana was devastated by Hurricane Katrina. Close to 90 percent of the city was flooded, some parts of the city under 20 feet of water. Many structures were completely destroyed and those that weren't destroyed by the hurricane, most likely had to be destroyed because of how long the flood waters were there. The pumps used to rid the city of the water, were not working and because they couldn't be replaced, had to be repaired. This led to the integrity of the buildings to be compromised, leaving people homeless and worries to arise about the places refugees were going to stay when the water was all pumped out of the city. Katrina began about 200 miles southeast of Nassau in the Bahamas. It then moved northwest, becoming Tropical Storm Katrina. It continued through the northwestern Bahamas (August 24-25) and then went westward towards southern Florida. 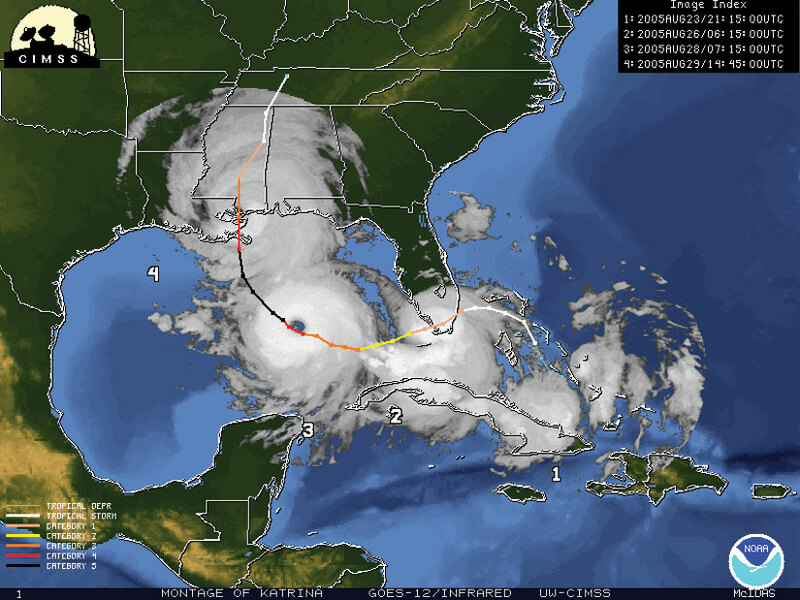 Tropical Storm Katrina became Hurricane Katrina just before it made landfall near the Miami-Dade/Broward county line (August 25). It then moved southwest across southern Florida and into the eastern Gulf of Mexico (August 26). The center made landfall near Buras, Louisiana (August 29) and continued north. It was still a hurricane near Laurel, Mississippi, but became a tropical depression over the Tennessee Valley (August 30). It continued up to the Great Lakes, weakening until it became a frontal zone (August 31). 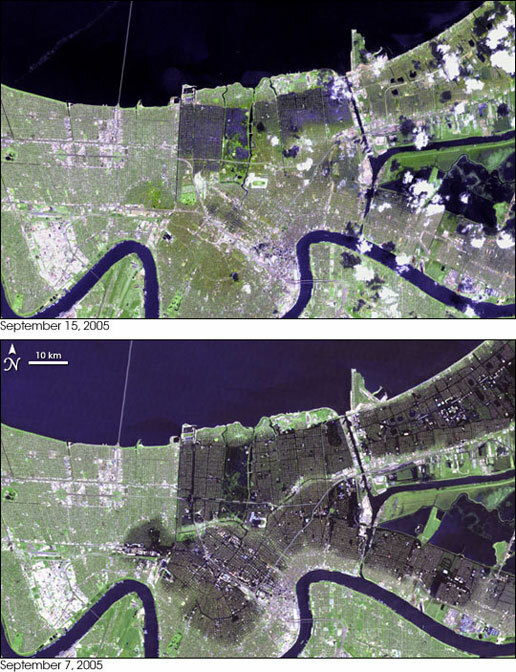 The main health effects of Hurricane Katrina had to deal with the amount of water left behind in New Orleans. Outbreaks of West Nile, mold, and endotoxin levels rising were the biggest concerns. With the flooding came all new types of bacteria from the open water, leaving New Orleans with little to defend itself. The medical centers were either destroyed or in utter disarray and power was lost for quite awhile. The concern that people were going to get sick because of contaminated food or water also weighed heavily on people's minds. All of the health concerns for New Orleans came from the amount of flood water because there was so much of it, that it was an optimal breeding ground for mosquitoes and the water covered everything making nothing truly safe. 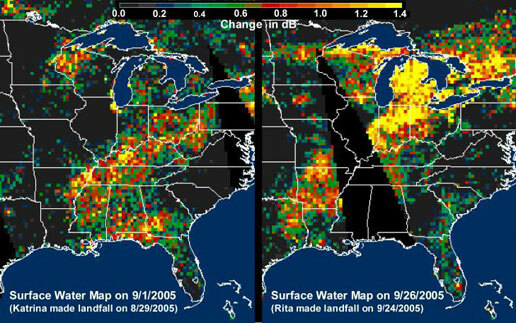 Here is a link to the NOAA (National Oceanic And Atmospheric Administration) site on Hurricane Katrina and a few impacts Katrina had in the south United States. Hurricane Katrina. The clean up for Hurricane Katrina is still on going. A lot of water flooded the city and some areas that were flooded near New Orleans are still under water. Those areas may just become lakes because the water may never drain out. New Orleans had to fix their water pumps in order to drain their city. This took a few days because they couldn't replace them since the pumps they did have, weren't manufactured anymore. The extra time it took to repair the pumps meant that the city stayed in the dirty water that much longer. This meant that most homes that were flooded had to be completely destroyed. The foundations were weakened and more and more mold was growing. The city was going to be uninhabitatable longer and longer. The levees also had to be repaired to keep the water out of the city. When the water was finally pumped out, the homes had to be taken care of. The people of the city were put in temporary trailers while their homes were destroyed and then reconstructed. Every home that was flooded, had to be destroyed because it sat too long, too much mold and putrid water sat within them. Once the homes were cleared and power was restored, the concerns for human health went down considerably. Clean water and food were brought in while the plants that filtered the water were being repaired and power was restored. Effects Hurricane Katrina Had on the Rest of the U.S.
Katrina hit New Orleans the hardest, mainly because it is below sea level and easily flooded, but it also did damage in other states. It caused flooding in Southern Florida and damage and extensive power outages in Miami. From the Gulf coast to the Ohio Valley, flood watches and warnings were issued. Parts of Biloxi and Gulfport, Mississippi were under water. Some rain bands from Katrina also produced tornadoes creating more damage. Some areas effected by the tornadoes were in Georgia. Most of the death toll though, was in Mississippi and Louisiana, but a few deaths were also reported in Florida. The entire U.S. was also affected when the oil rigs in the Gulf were found to have suffered major damages, making gas prices go up. In order to prevent more disasterous floods in New Orleans, better levees have been built and a better disaster plan has been made. Unfortunately, because New Orleans is below sea level completely preventing a disaster like this is not possible. New Orleans will continue to sink and flooding will always be a problem. Better, faster clean up is the only way that the city can prevent a disaster as great as Hurricane Katrina. Routine maintenance of the pumps and levees can help keep the water at bay, but one day it will return. Fast action, awareness, and knowledge of a disaster plan are the only things that people can do to protect themselves. Those and flood insurance, will help to make sure people stay safe. Also, when a city is evacuated for a hurricane make sure to secure your home and then evacuate yourself. This website covers what was done in New Orleans before and after Hurricane Katrina. It also talks about the different problems that arose and how they were taken care of. This is a reliable, objective source that discusses the events of Hurricane Katrina in New Orleans. It was very useful in discussing the specific effects Hurricane Katrina had on New Orleans and how the hurricane was handled there. This website gives an account of what happen before, during, and after Hurricane Katrina. This website tells of the path Hurricane Katrina took and the effects Katrina had on certain areas. 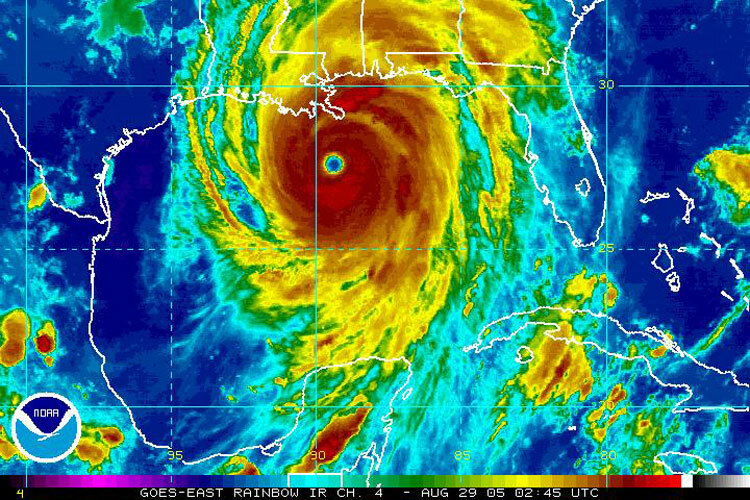 This website is an overview of the weather side of Hurricane Katrina and how that effected the areas Katrina passed over. This website about the procedure people took to check their homes for mold and check the endotoxin levels to make sure they're home was safe. The website tells about the health problems facing New Orleans and how to deal with them. This website tells about the predictions given for Katrina and then what actually happened and how everything was taken care of. This website gives an overview of what happened and what was done to deal with the effects.